The option is most likely missing from the help pages because it does not work for users under 10k rep. I don't think that the help page is able to change based off a user's rep (although there are more pages for mods). So there are two choices: show it or don't. Showing it would benefit the small population of 10k+ users that still read the help pages, but it has the strong possibility of confusing all the lower rep users. Once you reach 10k, you should be able to navigate around the site, and get to the privilege page here where the feature is documented. Note that it is showing only my NOT deleted posts, such as this one. Not the answer you're looking for? 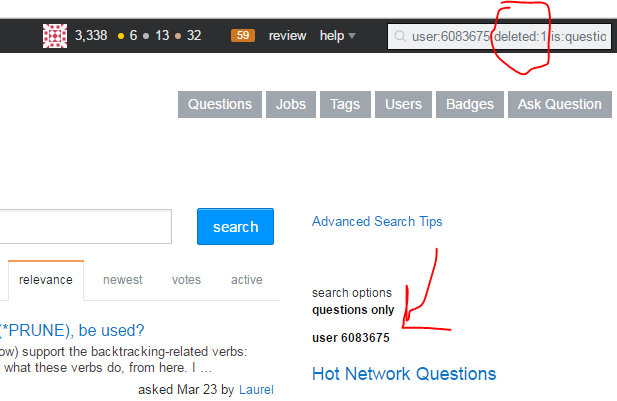 Browse other questions tagged bug search help-center . 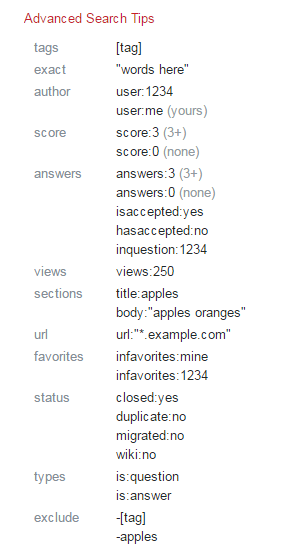 Is it possible to search my deleted questions? Should newly created Stack Overflow Teams be available for use immediately?